Domestic workers are organizing on a massive scale to build economies that respect the labor of women of color. This panel of organizers and historians will discuss the goals and challenges facing the domestic workers’ movement. 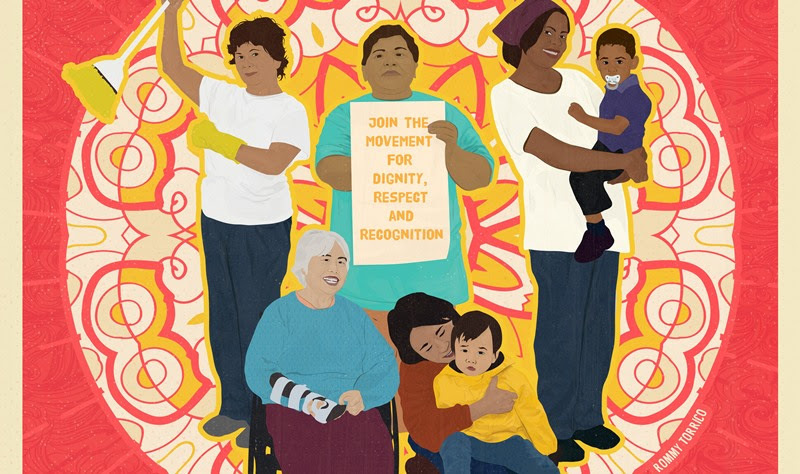 Panelists will explore how the rich history of domestic worker organizing can inform present-day struggles for dignity and respect, and inform the creation of alternative feminist economies that respect the labor of women of color. Panelists: Linda Burnham, Senior Advisor, National Domestic Workers Alliance; Monique Tú Nguyen, Executive Director of the Matahari Women Workers’ Center; and Jennifer Guglielmo, Associate Professor of History at Smith College and Project Co-Director, Putting History in Domestic Workers’ Hands. Moderated by Diana Sierra Becerra, Project Coordinator, Putting History in Domestic Workers’ Hands and Postdoctoral Fellow, Smith College. Location Information: Goodell Hall is located in the central part of campus, approximately one city block from the UMass Parking Garage (1 Campus Center Way, $1.75/hr). Free parking is available in many staff parking lots after 5:00 pm. More information: bus schedule, campus map with Goodell Hall and nearby parking indicated. Accessibility: Goodell Hall is wheelchair accessible. More information: accessible parking, campus accessibility map.